Filters can be used by Admins only. 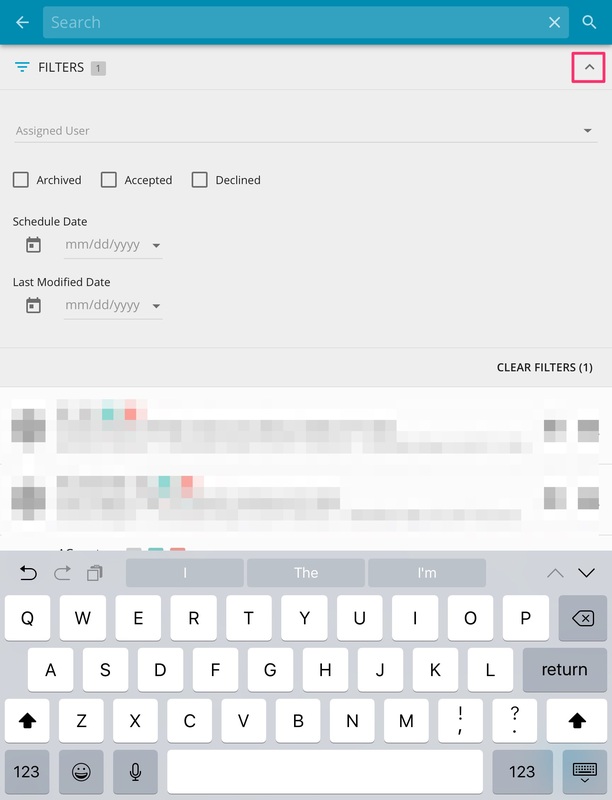 When a technician archives an order or if you are searching for a specific date range, on the "Proposals" screen select the magnifying glass on the top right. A new arrow will appear below this. Select this to expand the Filter area. Scheduled date or Modified date. From here you are able to select a specific proposal and view customer information, as well as view any customer signatures.